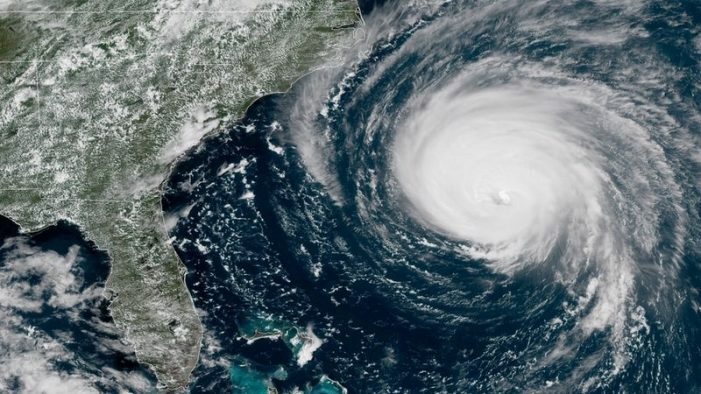 Hurricane Florence is expected to be a major storm when it reaches the eastern coast later this week. This storm is expected to bring damaging wind and a large storm surge. While the majority of the threat is to the coastal regions the inland areas still need to be prepare. Much like we saw with Hurricane Irma last year we have the potential to see high winds and heavy rain depending on the track of the storm. This could cause debris to accumulate on the roads and in yards. Here in Edgefield County we have the potential to experience topical force winds starting early Thursday morning. These winds will be around 40 mph. People should take this opportunity to secure outdoor items by either bringing them inside or tying them down. Make sure you have enough food and water to last a minimum of three days. Make sure the food does not require refrigeration, incase we loose power in the area. Check to see if the batteries in your flashlights and battery powered lanterns are still good. Remember that candles are not a good source of backup lighting due to the high risk of fire. If you have a cell phone check to see if the emergency notifications are turned on so that you will receive emergency broadcasts. Once you are prepared check on your elderly neighbors and family to see if there is anything you can do to get them prepared. If you have pets and are able to bring them inside please do so before the start of the storm and for the storm’s duration. Larger animals should be brought under shelter if possible. Last but not least, heed all warnings that are put out by emergency personnel. Please stay off the roads when advised. If you have to be out do not drive on flooded roads or go around barriers. There are public shelters and shelter openings will depend on where they may be needed. If shelter is needed call Suzy Spurgeon at 637-2123.